Over coffee and conversation came the storytelling of how their romance started and how Joe proposed…always my favorite part of a first meeting! They met as RA’s in 2014 at UW-Stout and eventually became friends. After that first year, they kept in touch during the summer and had their first date at a drive-in theater and dined at McDonald’s. Hey, I’d say classic and old-fashioned never goes out of style!!! Fast-forward a few years later and they returned to Stout for a special weekend of visiting and reminiscing with friends. Joe had a proposal plan in place, but nervous butterflies kicked in and ended up popping the question in their hotel room! Such a sweet memory to tell for a lifetime :) Now planning a June 2020 wedding, Mykenna & Joe’s downtown Neenah engagement gallery is being shared today! 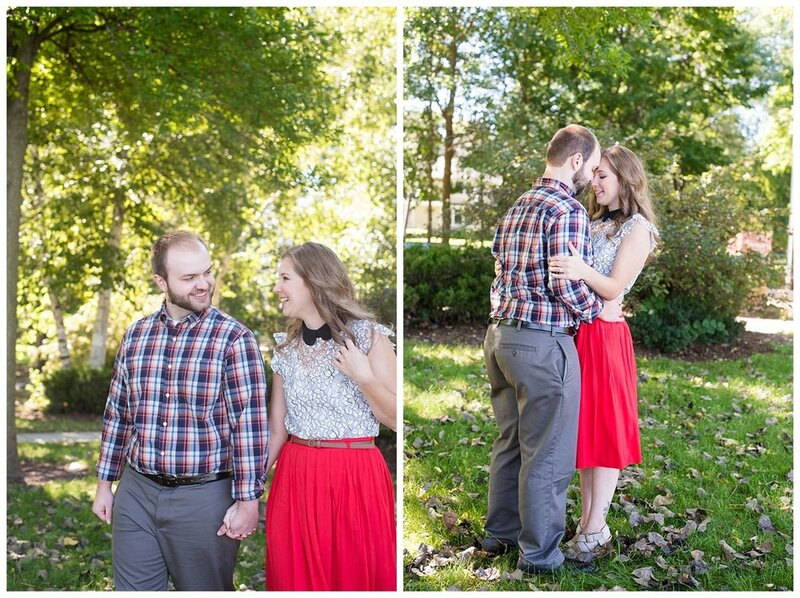 Mykenna & Joe, I am so incredibly happy for you both and I can’t wait to capture your special day!